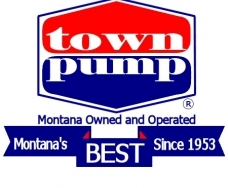 Town Pump is the convenience you've come to rely on. Town Pump Food Stores seem to be everywhere and with good reason. There are 80 of them strategically located throughout Montana. Each and every Town Pump Food Store are independently owned and operated. Each store provides customers with the highest quality food products available coupled with can't-be-beat convenience. Town Pump Food Stores specialize in fresh deli-prepared foods, an expansive selection of drinks, candy, jerky and nuts and the most competitively priced tobacco products on the market.